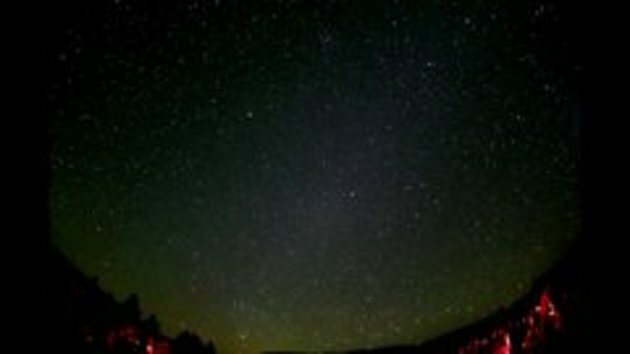 An interesting time-lapse video of the sky by night. Oh no! A cloud of aliens! We are getting invaded! Fake! They're just pulling a canvas over texas is all. LOL #4 I knew it. Can that really be seen by your own eyes? sorry I am a little dumb when comes to this space stuffs. Is it just me, or does that look like one, giant, celestial hoo-ha? ROFLPMP - "giant, celestial hoo-ha". Funniest thing I have seen on the net for some time. Deep in the heart of Texas!!! (bending space hoo-ha? you guys are nuts!!! IF IT'S FROM TEXAS....IT'S GOT TO BE BIG & AWSOME ! I'M A TEXAN AND I'M STUNNED. THAT WAS FABULOUS FILMING.